Clean and modern guestrooms with free Wi-Fi and a washing machine are offered at Twin Rabbit Hostel, just 10 minutes\' walk from Hongdae Subway Station (Line 2). All the air-conditioned rooms come with a microwave, stove and fridge. En suite bathrooms are equipped with a shower. Surrounded by eateries and local shops, it also provides luggage storage and local tour information. Twin Rabbit Hostel is a 10-minute walk from the Airport Limousine Bus Stop and within a 10-minute walk from the youthful and lively Hongik University Area. 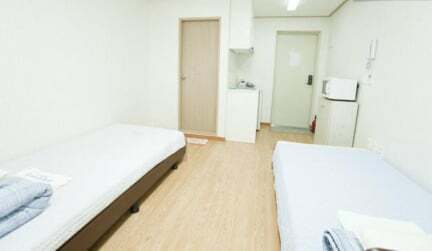 It is a 10-minute drive from Shinchon and Ihwa Women\'s University Street. Myeongdong and Namdaemun is a 20-minute drive away. We run a travel agency as well. For your convenience, we can help you book flights and Korean domestic tour: such as the DMZ tour or a Seoul city tour. You can enjoy an exciting Korean experience.